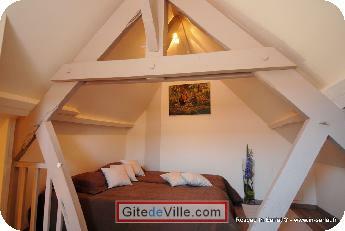 Vacation Rentals - Holiday Rental ads in the city of Sarlat-la-Canéda in France for Tourism. 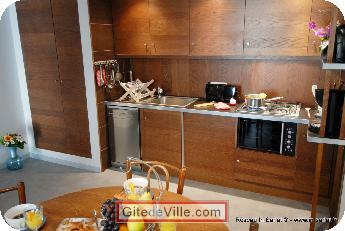 Self Catering Vacation Rental of 70 m² in Sarlat-la-Canéda for 4 peoples. he Gite du Coq for 4 people (62 square meters) situated at 13 rue Landry in the historic centre, next to the ancient Jardin des Enfeus. •	A large traditional-style bedroom with several features typical of the local architecture (open stone fireplace, decorative antique stone sink, etc). The two single beds can be put together on request. •	On the same floor, an elegant marble-clad bathroom with shower and W.C.
•	On the top floor, a charming attic bedroom with two single beds. 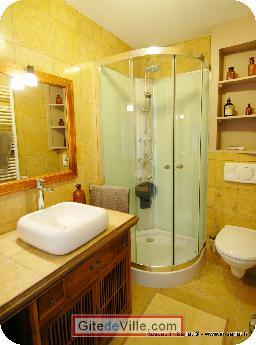 Free, unlimited Wifi access, TNT TV, central heating, thick walls ensuring cool temperatures in the summer. 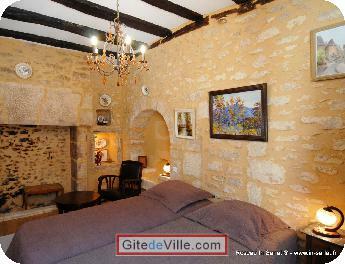 All the charm of a 15th century Sarlat house combined with the comfort of a 3-star rated property. -the church of St. Mary, became the covered market with its monumental gate and its panoramic lift both designed by architect price Pritzer: Jean Nouvel. You can also enjoy excellent restaurants, art galleries, shops of gourmet products: Sarlat collects specialties, duck foie gras in general and especially those of the nose and nuts in all its forms . On arrival you will receive a booklet (French / English) that will facilitate your stay. Last Ads update : 06/12/2014. Owner of an urban accomodation or B&B to rent in Sarlat-la-Canéda ?